You were told that joining a big corporation or a recognised firm is all we needed to be successful in life, so you fought for it. When you first joined the firm you were very happy, full of dreams and expectations. But after months or even years, you live in constant anxiety and monotony. You haven’t taken any actions because you are afraid of putting at risk your life and your family’s future. Moreover, looking for a better job seems hopeless when you are over a certain age; starting your own business sounds impossible with all the responsibilities you already have, and you’re told going back to school to change your career is just unreasonable. •Defeat the fear of starting over. •Deal with stress and anxiety. •Discover your real purpose and passion. •Define an action plan and make it a reality. Despite the relatively spiritual title, I found the opening part of One Life to Be You to be very corporate, which makes perfect sense when you realise the author is referring to your job, and how you fit into a specific category within a firm. Working for myself I struggled to identify with this section as I had already achieved the ‘dream’ of getting out of the 9-5 rat race, but if you are working in a company and job that doesn’t fill you with joy or purpose, then the exercises and identifications will be insightful. The middle and end parts of One Life to Be You resonated with my personal development and holistic background, and I found myself connecting more with the text. There are exercises dotted throughout the book that the author encourages you to complete to enable you to get the most out of the topic. I’m a sucker for a non-fiction book with relatable exercises, so I had a go a quite a few and was pleasantly surprised at the outcome. As a regular meditator, I enjoyed doing the mini-meditations and taking the time to sit and concentrate on my breathing for a few moments is always welcome. The author uses her own experiences and skills as a coach to help the reader identify their triggers and step out of their comfort zone. I could fully associate with this section as it’s a topic that comes up a lot in my self-work. Doing the same old job and same old routines keep us safe and small. Learning to understand who you are, what you want out of life, and to build the confidence to make the relevant changes can bring about incredible opportunities for us. Juliana uses her book and the accompanying exercises to push you out of your comfort zone and to think differently. An interesting and insightful read which would appeal to anyone looking to find new meaning in their career, searching for a more balanced life, or finds personal development an enjoyable topic. It would have benefitted from a final proof-read in parts, but on the whole, this was a good book with lots of positive energy. 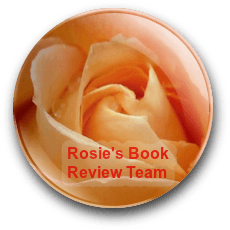 I chose to read and review One Life to Be You for Rosie Amber’s book review team, based on a digital copy from the author. Maybe it was being in HR (where I did a lot of hiring and firing), but I have to say I never felt my career was in charge of me, or that I couldn’t move on. I was, of course, lucky. Lucky enough to be smart, smart enough to be well-educated, well-educated enough to have certain doors opening for me. Mother’s mantra must have worked, because her daughters (and daughters-in-law) include the lawyer, the doctor, the teacher, the banker, the engineer (okay, the four engineers), the urban planning director of a major city, and even the VP of HR turned writer. I love this, Barb! I’ve said similar to my three kids and they’ve seen me re-invent myself more times than Madonna! Then you’ve given your kids a lifelong gift. They’re SO lucky to have you!